Home Uncategorized Stream options after SSC ! What to do after 10th ? This is a season to celebrate the results of SSC Examinations and all the students who conquered it! SSC results mark the beginning of an individual’s professional journey. The SSC diploma holds value not only as a proof of academic performance but even as a date of birth proof. However, the most exquisite aspect of the academic achievement does select the avenues and career options for higher studies. Naturally, there are a plethora of options when we discuss career prospects. Thus, it is good to have an idea about the professional courses and stream before one selects their subjects for HSC. First things first. It is of the extreme essence to choose your subjects well because it would reflect on your specialization later. Anyone aiming for Medical/Paramedical cannot skip Biology. The same stays true for Engineering, wherein skipping mathematics is a big no! You can read in all about Science(click here) and if you are cut for it! This is the most chosen stream after 1oth and offers many lucrative career options including medicine and engineering. It is also popular for the fact that it keeps you options open, i.e. a student is allowed to select commerce or arts after pursuing science in 10+2, while commerce and arts students cannot pursue science. Studying Commerce as a stream can be defined as a study of business activities such as sale and purchase of goods and services from the producer to a buyer. Students are advised to choose this field only if they have an affinity for numbers and are more interested in business and economy. Most students feel that opting for commerce stream will offer them a broad spectrum of career paths after they wind up with class 12th, that will make them successful and bring them a sense of monetary security. What most students don’t contemplate is that just like science stream, a student also needs to have a definite inclination towards commerce to become successful in it. Arts stream is very diverse. This fact is evident from the studies involved in this stream. It covers a wide variety of studies such as- visual arts (painting, sculpting, drawing etc), performing arts (music, dance, drama etc), literary arts (languages, literature, philosophy etc), history, law, humanities subjects, geography, political science etc. Thanks to the availability of such diverse areas of studies, career options associated with this field are equally impressive. 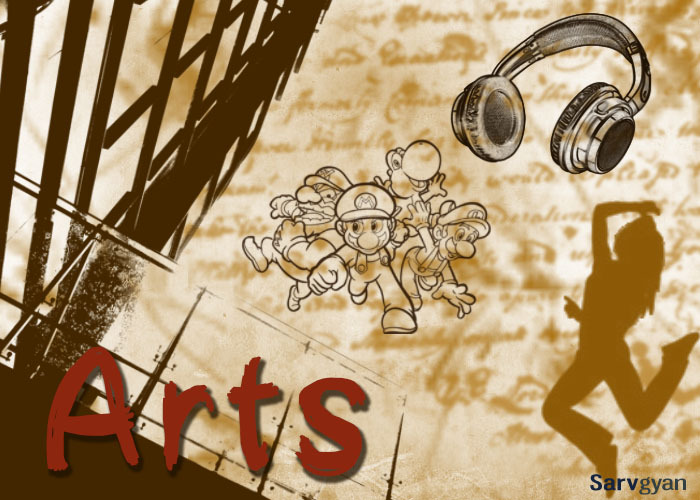 There is a certain misconception regarding Arts stream among students and parents. Many of them think that arts stream is only taken by students who are academically dull. Well, people are under a false impression! There exist many challenging subjects in this stream too, and it takes unquestionable aptitude to perform well in these exams too! Often, Many subjects that are taken up in Arts, prepare students for the civil services exams. Considering it is a very vast stream, it is good to know more about if this stream suits you the best! With so many options in play, one is bound to get perplexed. Thus, seeking professional guidance is extremely helpful. One can use a good assessment and counselling center like Brainwonders. They have various career assessments like DMIT, aptitude test, IQ and other psychometric tests that they use to provide expert career counselling sessions. Their U.S. Patented DMIT is the most comprehensive assessment that reports the inborn potential with respect to personality, learning styles, brain dominance. multiple intelligence profiles and career introspection. Thus, it beautifully aligns the genetic traits with available options to ensure professional success!